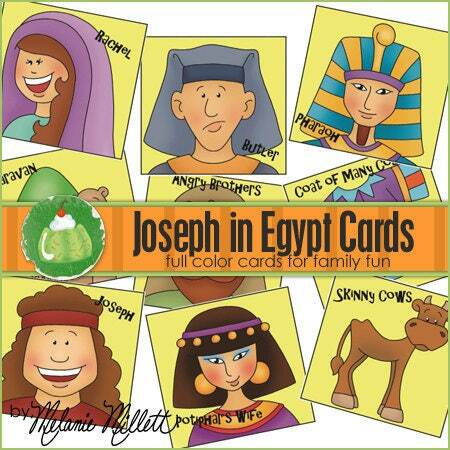 This is a cute simple matching card game for the whole family. 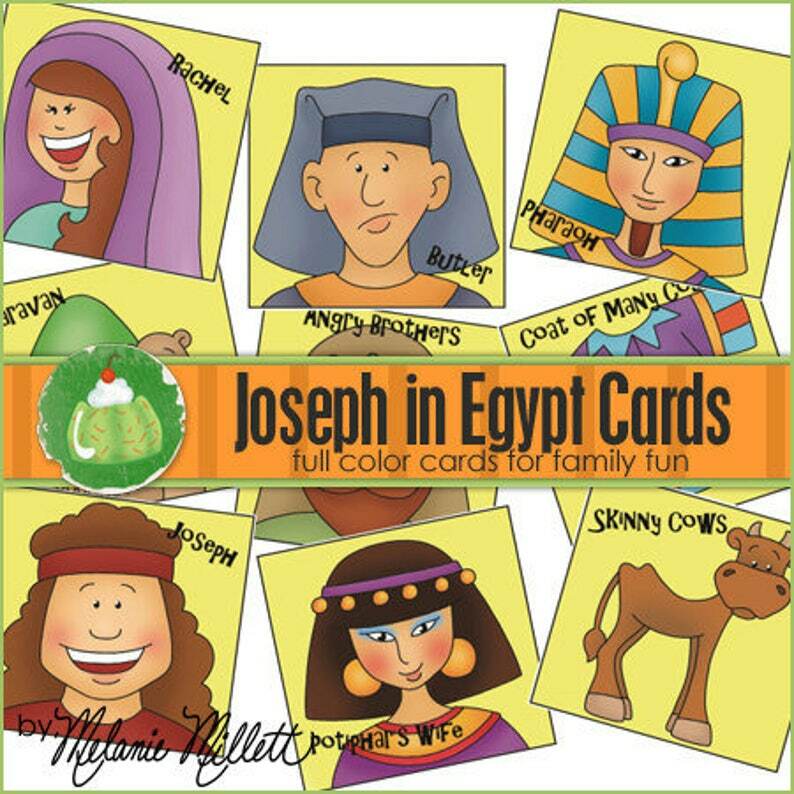 This game features JOSEPH IN EGYPT pictures. The game includes 24 different cards that can be printed as many times as you want. You can play the game as Concentration or Go Fish or Old Maid. These are great! Our Kids Church kids had so much fun with them - Great quality, easy to match for the kids - Love this!! !